Add an anodized or nickel-plated finish to any aluminum connector from Remke! 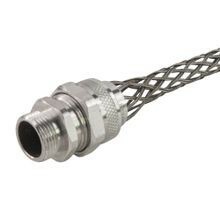 Improve resistance to corrosion, abrasion and general wear with nickel-plated or anodized cable connectors. Any aluminum cord grip from Remke can have the added benefit of anodized or nickel-plating - simply order it that way! 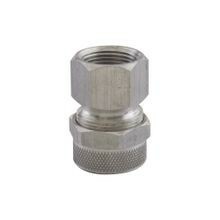 Anodized connectors are non-conductive and also prevent galling, dissipate heat and won't delaminate. They also provide better surface lubricity. 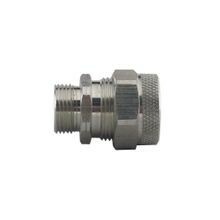 Nickel-plated connectors are a lightweight, lower-cost alternative to stainless steel. Only Remke gives you the option of adding Anodized or Nickel-Plating to ANY aluminum cord grip. Add anodized or nickel plating to any aluminum cord grip for increased protection. An option you get only from Remke! Anodized cord grips provide more corrosion resistance, abrasion resistance and stand up to general wear-and-tear better than standard aluminum connectors. With a thin, oxide film added to the aluminum's surface, anodizing delivers a big increase in performance. Color anodizing is also available, and ideal for easy identifications of circuits and environmental approvals – choose black, gold, red, blue or clear. Now available in Military Spec Green. Get corrosion and wear resistance without the expense of stainless steel connectors! 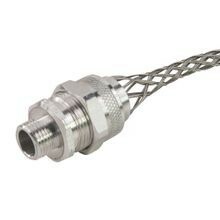 Nickel-plated aluminum cable connectors are more affordable, and offer an increased level of protection when stainless steel isn’t required. Remke Engineered Solutions is entirely focused on meeting the needs of a single customer. Our Job #1 is to develop application-specific, custom anodized or nickel-plated aluminum connectors that meet precise specifications.